I have kids and therefore, my house gets messy. Truthfully, I am usually the person who makes most of the mess in our home, so I shouldn’t totally throw my kids under the bus. Toys, toothpaste globs and crumbs everywhere though… that’s all on them. Cleaning and tidying my home is just like, part of being a grown up. While I do enjoy having a clean and tidy home, I’m not willing to sacrifice a huge chunk of my time and energy to make it happen. 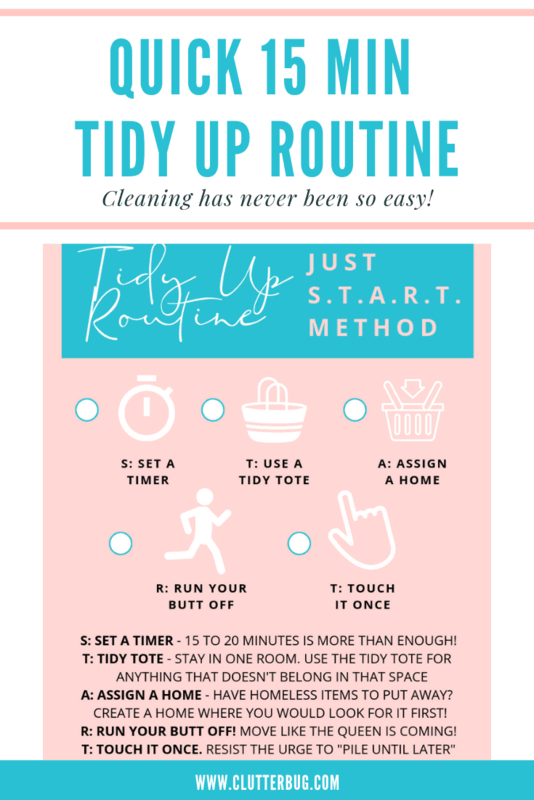 That is why I LOVE this easy and fast tidying up routine. I used to spend hours tidying my home, but the truth is, I was wasting a lot of that time because I was constantly getting distracted. I have cleaning ADHD for sure. I’ll leave the room to put something away and completely forget what I was doing. Cleaning ADHD can easily turn a 15 minute job into hours of wasted time and effort. I’ve learned a few tricks that have helped me to stay focused and tidy my home super fast! 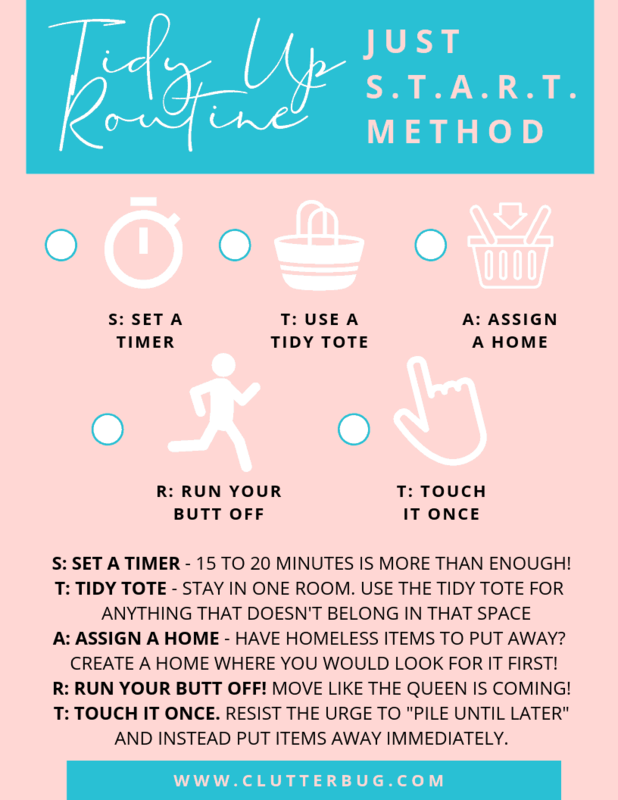 You can download my “Just S.T.A.R.T.” tidy up routine HERE and give it a try for yourself! Is Being A Perfectionist Making Your House Messy?